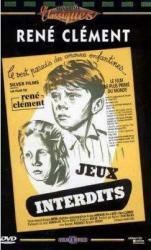 Drama/Gainful, France, 1952, 86 min. Synopsis A girl of perhaps five or six is orphaned in an air raid while fleeing a French city with her parents early in World War II. She is befriended by a pre-adolescent peasant boy after she wandered away from the other refugees, and is taken in for a few weeks by his family. The children become fast friends, and the film follows their attempt to assimilate the deaths they both face, and the religious rituals surrounding those deaths, through the construction of a cemetery for all sorts of animals. Child-like and adult activity are frequently at cross-purposes, however.